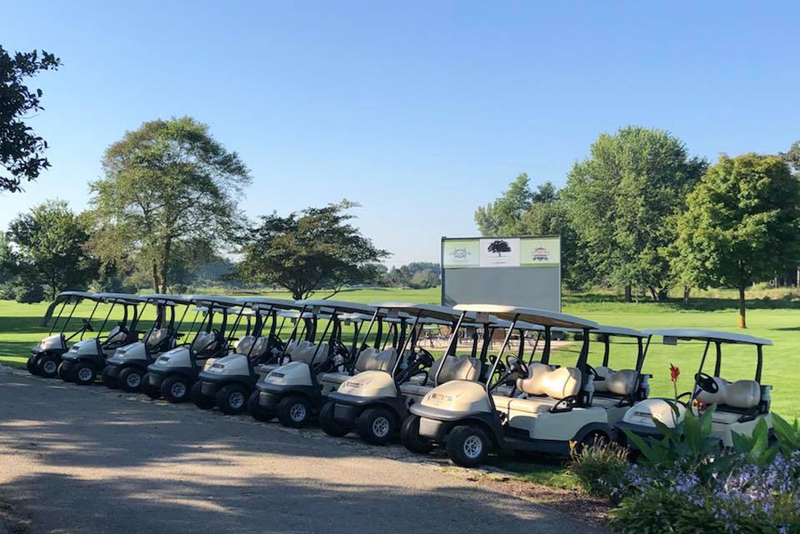 Regardless of the number of players attending your golf outing, the staff at Blackberry Oaks Golf Course works to ensure that every outing is memorable. We offer a variety of golf outing packages to ensure the needs of your group are met, from start to finish. 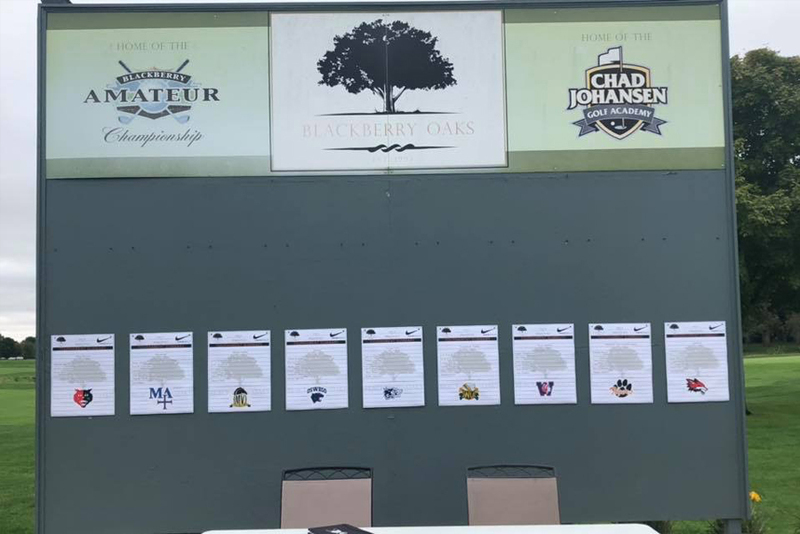 As a special service, Blackberry Oak Golf Course will include a FREE “Hole in One” Challenge for every outing of 80 players or more. We’ll handle these details for you during the planning of your outing. 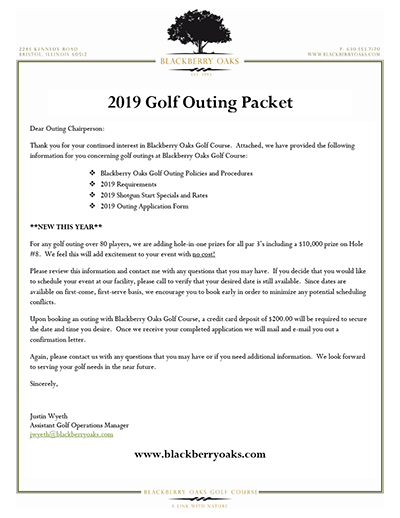 To book an outing and begin planning for a great day of golf or to learn more about all Blackberry Oaks Golf Course has to offer your group, please contact us today. 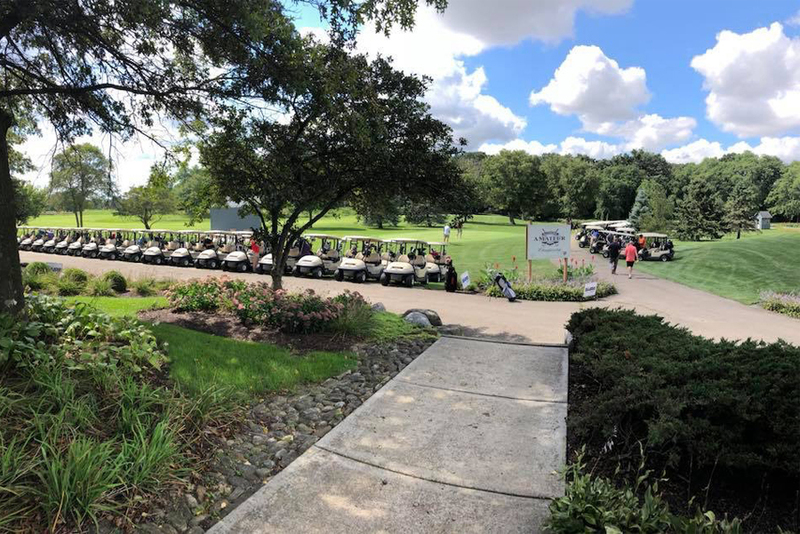 "We hosted our first ever golf outing fundraiser at Blackberry Oaks Golf Course in 2018. The overall success of our fundraiser was phenomenal! 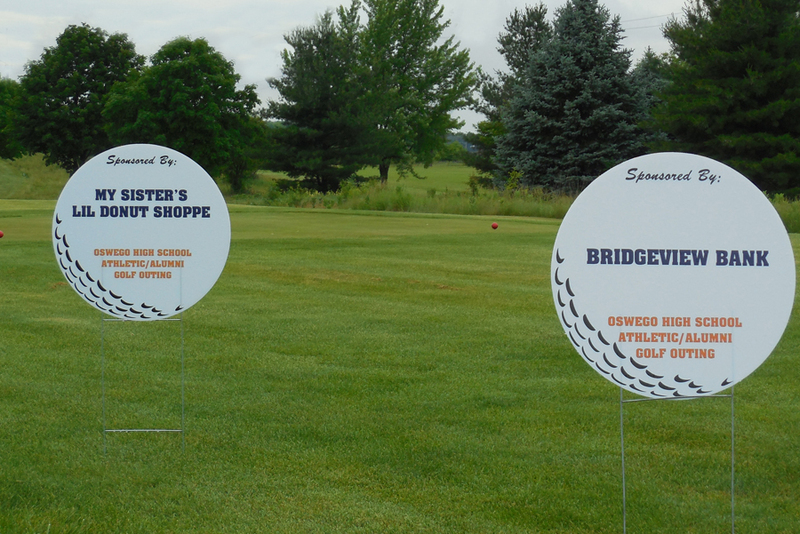 The staff at Blackberry Oaks Golf Course helped us planning everything plus the hole-in-one contests were a huge hit. We owe it all to the staff at Blackberry Oaks! Thanks for allowing us to raise nearly $10,000 for our travel baseball teams!" 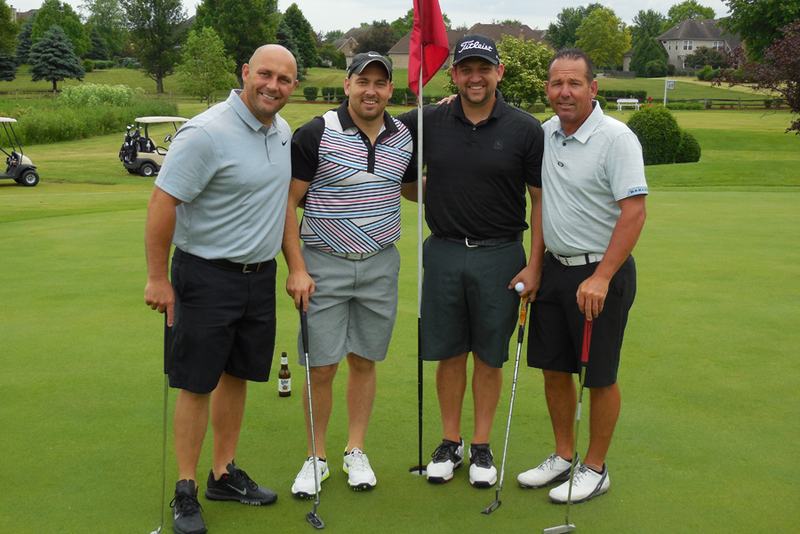 "Our first golf outing for the Professional Bowlers Association was a huge success. I can’t thank the Blackberry Oaks staff enough. For a first timer running a golf outing, they really helped with everything. 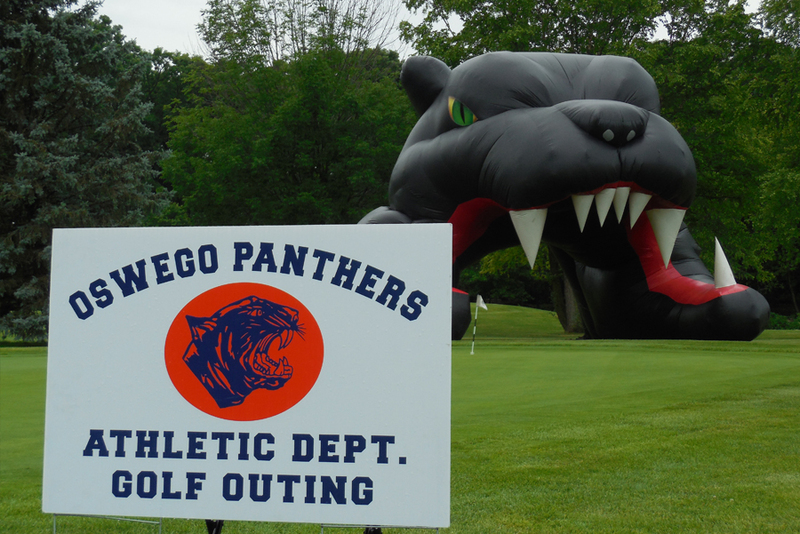 We are looking forward to our second year of hosting our golf outing at Blackberry Oaks Golf Course." 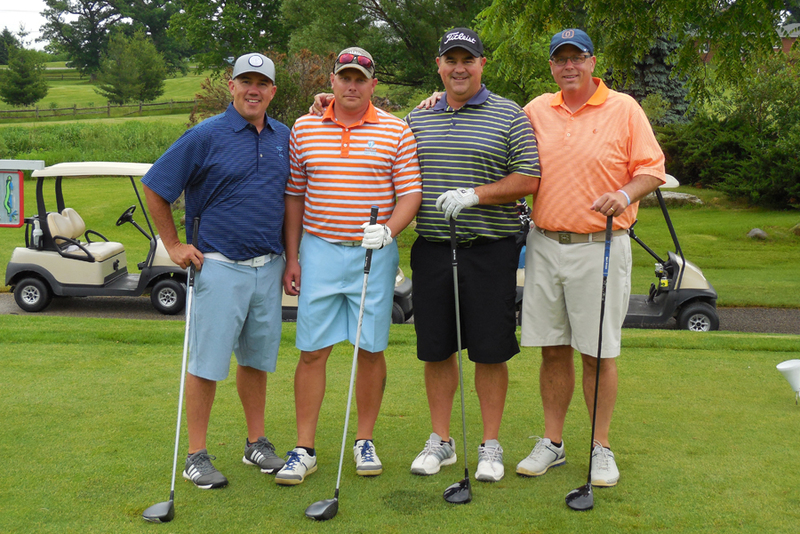 "The Kendall County Police Chiefs outing is always the #1 golf outing on everybody’s summer list. The experience from when you arrive until when you leave is first class! If you are thinking about hosting a golf outing I would highly suggest you check out Blackberry Oaks Golf Course. They are the best!" "This will be our 5th year hosting the Jacob Graves Memorial Golf Outing at Blackberry Oaks. We would like to thank you for making each event run smoothly. 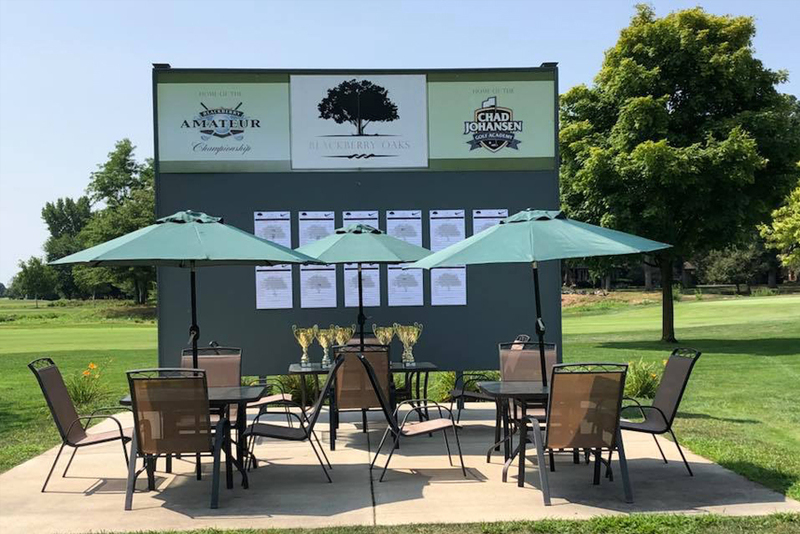 We know that when we arrive your staff will have everything prepared and ready to go, including signage, golf carts, tables and anything else we may need. The golf course is beautiful and your hole-in-one event is awesome. We actually had a golfer in our outing win a Blackberry Oaks golf membership!! The golfers also love the food at Kennedy Pointe Restaurant. The BBQ ribs are reason enough to fill up our golf outing! 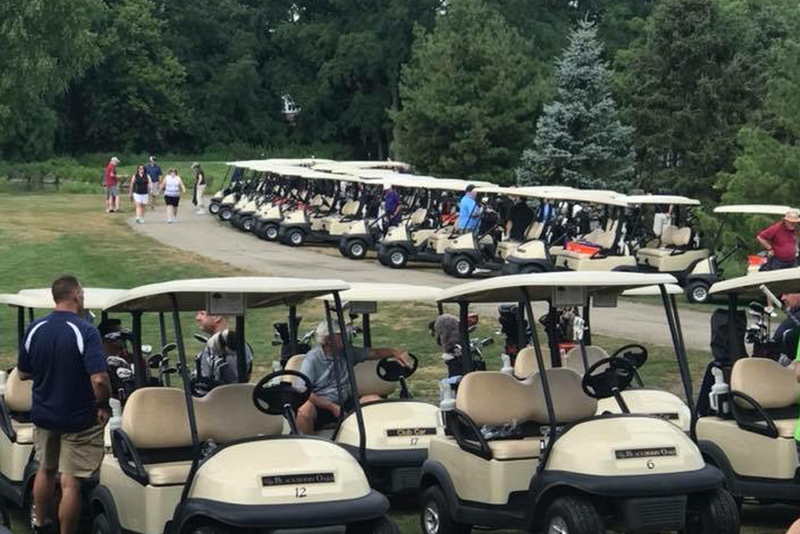 We truly appreciate all of the hard work it takes to make our outing such a huge success every year!" 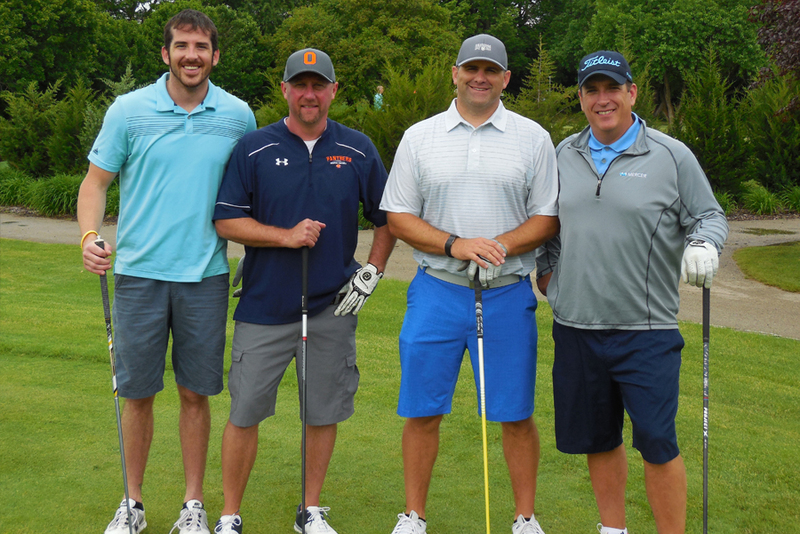 "We have held our golf outing at Blackberry Oaks for the past few years. Every year they continue to impress! The staff is top notch and very accommodating for our 130 plus golfers! Many of our golfers say it is the best outing they attend all year. I highly recommend Blackberry Oaks Golf Course!"